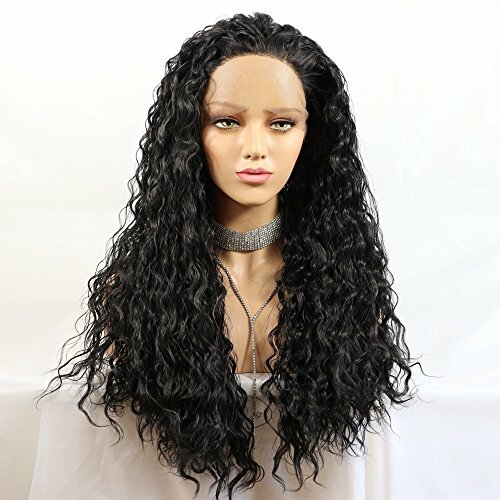 Meinod Black Loose Curly Lace Front Wigs Heat Resistant Fiber Hair Synthetic Lace Front Wig For Black Women (Color 1B)1.Hair Meterial: High temperature heat resistant fiber hair2.Cap Size:Circumference 22.5inch stretched medium cap (Average cap size) with Adjustable straps and 3 Combs3.Hair Color: Same Color As Picture 4.Hair Grade:Heat Resistant Synthetic Fiber Hair Up to 160 degrees centigrade5.Hair Style: Same Style Synthetic Lace Front Wig As Pictures *Please Note: All synthetic hair wigs be happened to minimum shedding and Tangling which is normal. The color on your computer monitor and computer print-outs may appear differently than the actual color. All Units can be returned with full refund in 30 days as long as it is in it's original condition. So please don't cut the lace! Thanks!Delivery Time: Fulfilled by Amazon just need 1-2 days to delivery. The default shipping method is Epacket(USPS).It will take about 10 working days to US. 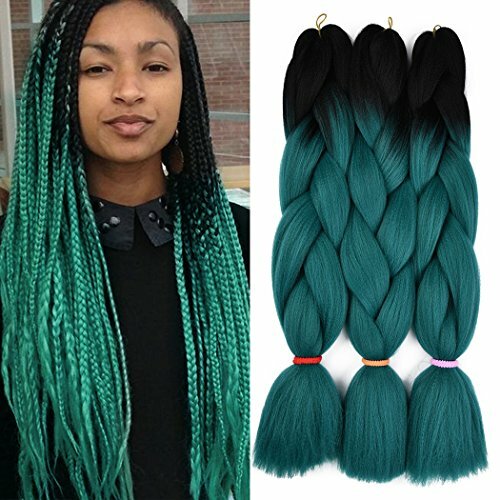 24Inch 100% Kanekalon Synthetic Ombre Jumbo Braiding Hair for Twist 1. 20 years experience of producing different types of hair extension. We have many professional workers and skilled equipments. And our products almost have no question of shedding or tangle. 2. We have more popular colors for this item, you can select any one you like. 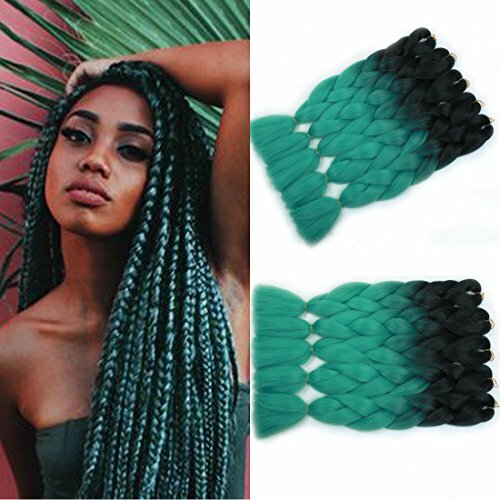 Our factory will continue producing new popular colors.FAQ:About jumbo braiding hair some question and answerQ:How many bundles in one packA:There have 3 bundles in one pack ,we provide 3pcs or 5pcs in our shopQ:In general, how many bundles Jumbo braiding hair can be covered a head ?A:Usually 5-6 bundles jumbo braiding hair can be a full head100% SATISFACTION GUARANTEE With a professional customer service team, we will reply the messages from customers within 12hrs. For any question, please feel free to contact us , we will try our best to make you satisfied! Don't Hesitate Anymore, Just Click the Buy Button To Get It! How to wear the wigs:1. Put on the Wig Cap.2. Stuff as much of your hair as possible down toward the back of your neck, making sure it's still contained by the wig cap.3. Putting on the Wig. Place the wig's scalp line against your forehead, just above your eyebrows.4. Tilt your head forward as you slowly stretch the back and sides of the wig down over your wig cap, sliding your fingers out from underneath the edges as you pull them down.5. Pull the back of the wig down until it covers the back of your wig cap.6. Tug the back of the wig down until the front of it sits just below your natural hairline. 7. Start piercing hairpins through the wig, the wig cap, and into your hair below.How to wash wig?1. Soak the hair gently with mild conditioning shampoo in cold or warm water.2. Rinse the hair in warm water towards to the same direction.3. Brush the hair gently in a downward from top to end.4. 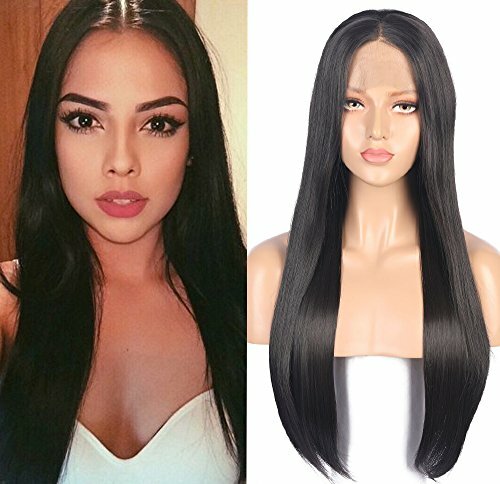 Lay flat the hair and leave it natural air dry.How to store a wig : The best way is on a wig stand or mannequin, also you can store it in a hair net and plastic bag. Please note wigs should be placed in a cool dry space. If you don't wear the wig,look:1. Take wig out from the packing, give it a few good shakes to release the default style.2. Remove earrings and comb your own hair to remove knots and tangles.3. Wrap your own hair tightly into a high ponytail and wrap a hairband around it, then separate it into two ponytails which are pulled tightly.4. Wrap it around the base of your own hair ponytail, and place your fingers in the middle of the wrap to pull the end piece of the ponytail into the wrap to create a knot.5. Press down on the bun, using bobby pins into the hair to secure the bun and keep it close to the skull.6. 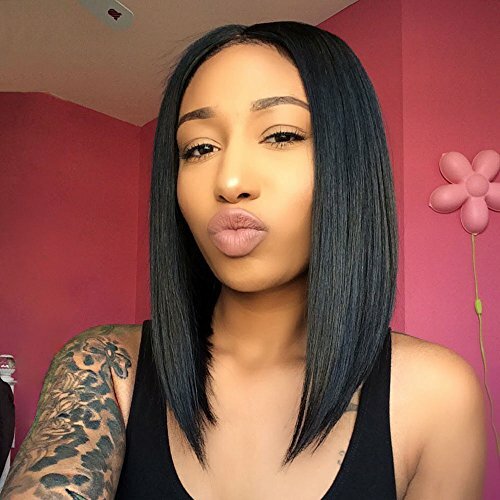 Put on a wig cap on your head, push all strands of your own hair that are on the side, the back, and front of your head, under the cap, to create a smooth surface.7. Comb the wig gently, and pull the adjustable straps to accommodate your head snugly inside the wig.8. Hold the top and bottom part of the wig and pull it from the front of the head, then pull it back gently, adjust the wig to cover the cap and to fit perfectly around your head.9. Pin the sides of the wig to the wig cap and to your own hair.10. Finally comb the wig again on your head. 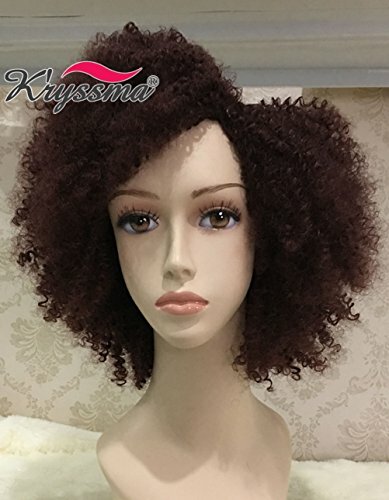 Specification: Material:100% Heat Resistant Fiber made synthetic wig. 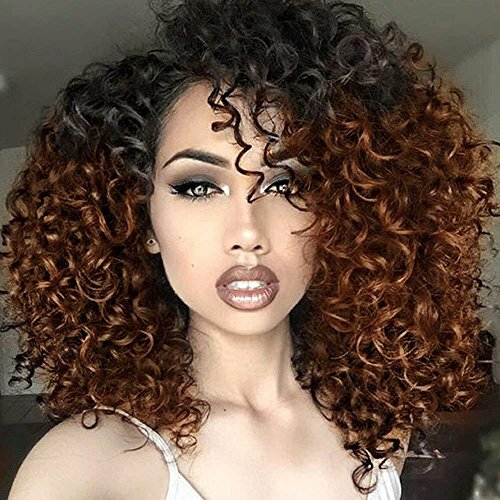 Style:short curly wig Texure:Natural looking and soft touch Package included: 1 Wig ＋ 1 Wig Cap Product Highlights: The item is Easy to wash and care just using a little mild shampoo in cold water. You will be amazed by the quality. Wearing it, it can bring you more confidence, and more charm. How to aviod tangle and shedding? 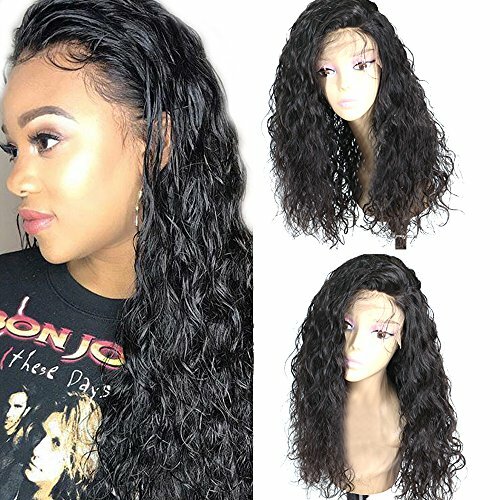 Do not wash the wig frequent, wash your wig about every 2 weeks or 3 weeks in the summer Do not sleeping with the wig wear on. Don't comb the wigs when it wet, don't use hair dryer, don't wash the wig with extremely hot water. If hair tangled after long use, use non-oily maintenance fluid of wig. Warm Tips: The color Sometimes may be a little different From the photos because of your computer monitor's color setting or other reasons. 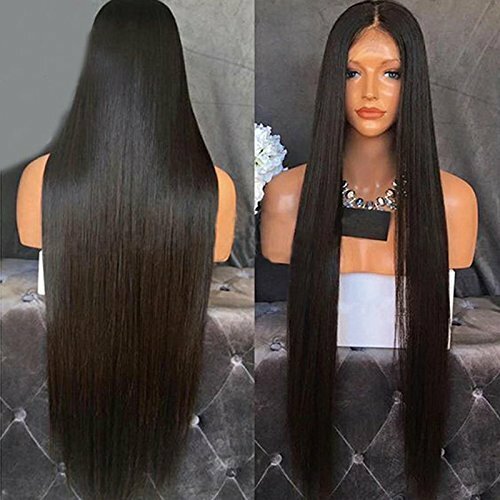 All synthetic fiber wigs are happened to minimum shedding and tangling which is normal, please take care of washing and maintenance. Comb curly hair gently with your fingers from top to end. Do not brush . Care and maintain the wig regularly, do not wash it frequently. In order to suitable everyone the bangs are longer, you can be trimmed according to personal needs.